Home #ADDICTIVE Drop It – Don’t take it lightly! Drop It – Don’t take it lightly! Who hasn’t dreamt of developing a game that everyone loves? I’m one of those people and have had so many ideas for the perfect game over the years, but none of my games have been captivating enough yet. One day my little brother-in-law came to visit me. He saw a bunch of my concepts and asked me if I could develop a game for him, and he gave me an extraordinary idea. On the same day we started to create designs for the game together and weeks later, Drop It was born! A game concept that is so simple that it doesn’t require any explanation! So simple that it can be played by everyone and at the same time hides absolute addiction potential. But be careful, the beautiful and simple design does not show how challenging the game really is. It will challenge you! 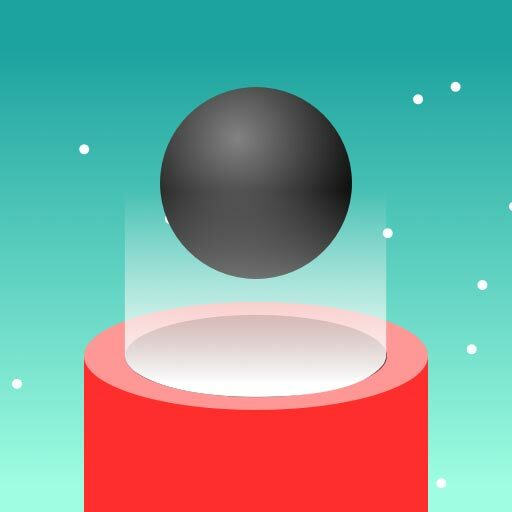 Drop It can be played with just one hand and is therefore ideal for short and spontaneous gameplay like when you are on the bus, traveling by train or sitting on a cozy sofa. Drop It is loved by young and old alike and is therefore suitable for everyone. Drop It offers various balls that you can unlock. Each ball has its own characteristics in terms of fall speed and size. Unlock these balls to achieve better high scores. The smaller and heavier the ball, the higher the chance of achieving a better high score! The speed of the pipes increases as the game progresses. As a little developer tip: Try to get as many perfect drops as possible, so the chance of a new high score increases. 1. Over 30 individual unlockable balls! 2. Left and right-handed mode! 3. Simple to use and playable with one hand! 6. No pay to win! Faveapps consists of a developer, a very young idea creator and many enthusiastic testers. The goal of Faveapps is to publish apps that are loved by the users! Our head office is located in the beautiful and famous Baden-Baden in Germany. Follow Faveapps on Facebook for insight on future releases! This article was Published by Edamame Reviews, Written by Faveapps.